In 1948, right after the end of the Second World War, Hans Clemens with his family was coming to Kirchardt/Baden (Germany). Like many others at that time, he had to build up a new existence. He had already lost a factory and wholesale business of shoes in Alsace (France) consequently to the events of war. After the end of the war he founded a retail shop in Mannheim (Germany) selling glass, China and gift items. 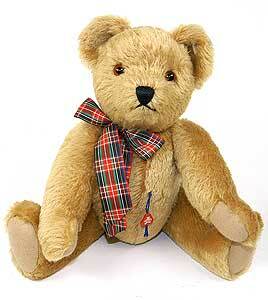 The customers of that period again and again asked for teddy bears, because they were not available after the war. Hans Clemens made the decision to help the customers and also the children and he started manufacturing teddy bears made of German Armed Forces' old blankets. His sister made them affectionately by her hands and every teddy was an individual and tenderly manufactured single item. Soon demand began to rise and the business was again and again extended. The first employees were coming. The economic boom led to the final breakthrough of the company. It was almost impossible to cope with the high demand. Although in the meantime a lot of other plush animals were added to the range, the bestseller and everybody's darling has ever since been the teddy bear. The following years, as everywhere in the industry, also crises had to be overcome, but they could be managed by the cooperation of everybody as well as also by the known Clemens quality and by the unparallelled style of the products. Today the Clemens company is a well-known plush animals company in Germany. Already since the beginning the Clemens teddy bears and animals have conquered many children's hearts in Germany and abroad. Hans Clemens, the founder of the company is in well-deserved retirement for some years - after passing on the management of the company to his son Peter. He is however still keeping a suspicious, but very kind-hearted eye on the continuation of his work..